Abstract:As far as the expansion joint is installed, it can be adjusted according to different needs.However, in terms of its operation, the expansion joint can convert the axial force into the entire piping system.The main materials of the expansion joint include QT-400, Q235A, HT20, 304L, 316L and so on. In general, expansion joints can be divided into seven types, each of which is installed differently. Expansion joints are an effective measure of protection due to temperature differences. Expansion joints have the advantage of large expansion area,high temperature,and big pressure.These building expansion joints for foundation concrete pouring and pre-buried pipes during building water supply and drainage are building-based and can be subject to equipment vibration and changes.During the process of changing the pipeline medium, the pipeline may be deformed, bent or damaged by pressure.In addition, the buried pipelines bring great inconvenience to the construction project.To overcome these difficulties,and ensure the safety operation of the pipelines,expansion joints came into being.The expansion joint can extend axially within a certain range,so it can overcome different displacement and the expansion and shrink of the pipelines.so the pipe lines can freely expansion and shrink in the expansion joint.If it exceeds the maximum extent of expansion and contraction, the expansion joint plays an important role in length. The double flange loose limit expansion joint is a kind of expansion joint, and the double flange loose limit expansion joint is developed on the basis of the flange expander.compared with the general expansion joints,the double flange loose limit extension joint is more compensating.When the telescope exceeds a certain range, the restricting device will cover the sleeve portion of the expansion joint over the water body. In this way, the displacement will not continue to be compensated, thereby preventing the outer casing from being pulled out. The above is the working principle of the expansion joint. The expansion joint plays an irreplaceable role in the pipeline. Due to the huge temperature difference, the expansion joint also plays a protective role. 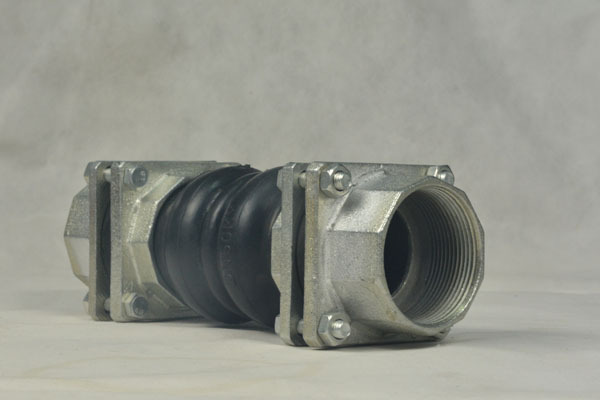 Expansion joints are equipment that connects pumps, valves, and the like. They are bolted together to make them one piece and also have a certain displacement. 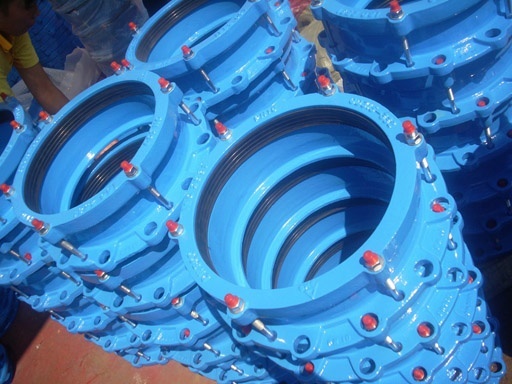 The expansion joints can be adjusted according to the actual size, which can improve the working efficiency, and also provide protection for pumps, valves and other equipment.